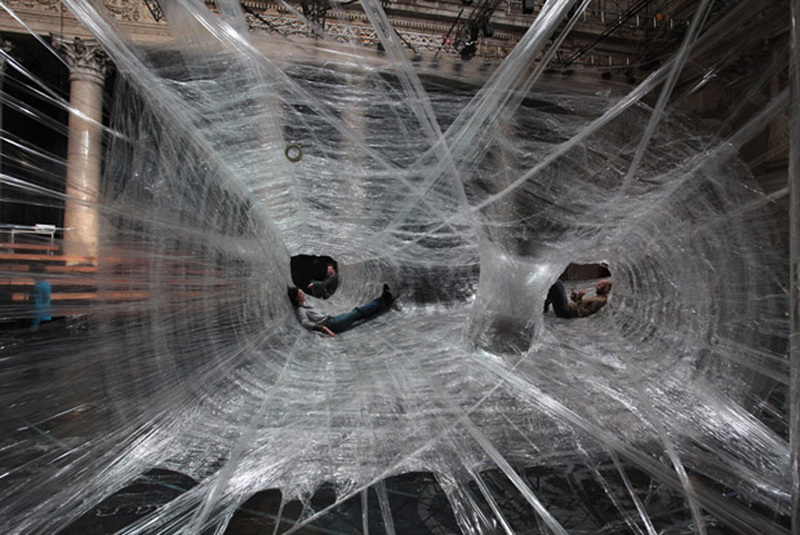 Things We Like: A Veritable Playground Made Out Of Packing Tape. 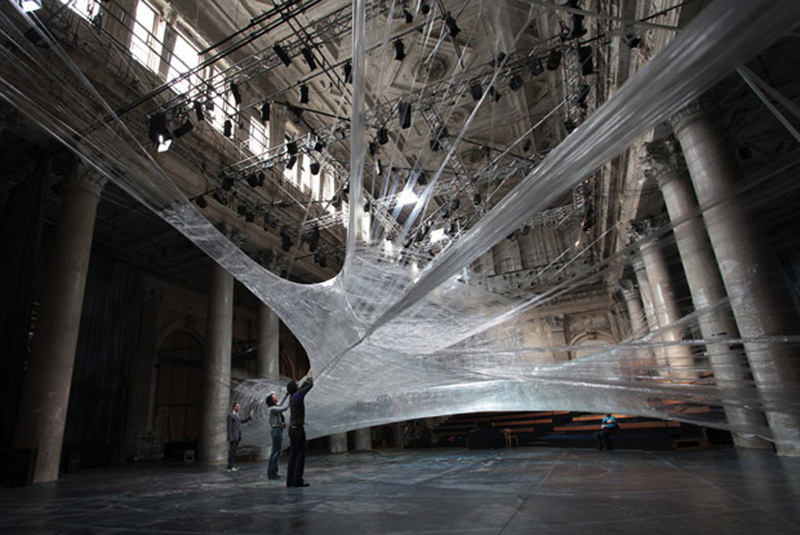 Sure, it’s a lot of plastic and packing tape can be remarkably expensive but really, how can you not stand in drooling awe when presented with For Use‘s gorgeous packing tape structure/playground? Well on the most basic level, as previously stated, it’s gorgeous. However we also find it compelling because it is something that with patience, a load of cash and a fully stocked Staples (or three) nearby, we could all theoretically go out and make. It is a flexible and forgiving, an open system of design, and construction that encourages relentless testing, exploration and collaboration. Very much like our landscape weaving projects (here and here), the material itself is so disassociating to the design-builder that one is likely to drop their conceptions of possibility and the formal notions of space that they have accumulated over their lifetime. We’ve repeatedly seen in our own work how although the final structures may not be permanent, this type of design-build process is incredibly valuable as a piece of a larger learning or design process for getting groups of kids or community members to drop their assumptions and fully, openly explore the possibility of an idea or space. Furthermore, ridiculously hard and impractical to draw, design occurs on site through doing rather than talking and drawing, creating an open framework of design that allows others to drop-in and participate for the betterment of the project. Indeed, we have found that design systems like these are perhaps most important because they encourage ‘doing’- they help immediately create a can-do attitude of empowerment, ownership, civic activism and chutzpah in the minds of the youth and the communities where we work. It turns the switch on and allows great things to happen. Let me be clear, I am projecting my process on For Use‘s fantastic sculptures but it’s always great to see work that represents such possibility. 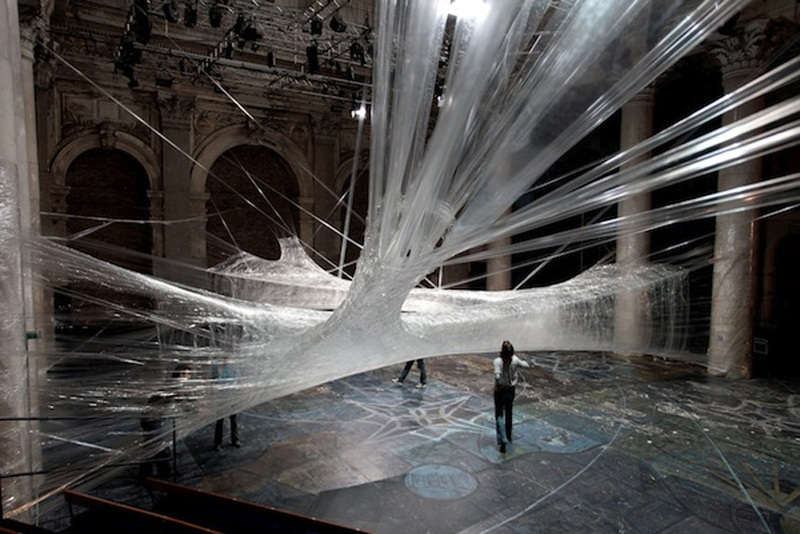 Spectacular installation! Thanks so much for showing the process! Gorgeous isn’t it? So glad you liked the post Norman. By the way, I loved seeing the final results of your kids + chair building project.